PANAMA CITY, Fla., November 2, 2018 /3BL Media/ - Wells Fargo & Company (NYSE: WFC) today announced it has deployed its Mobile Response Unit to provide housing recovery assistance as well as help for auto, credit card, personal lines/loan, student loan and small business loan customers in the Panhandle and surrounding areas impacted by Hurricane Michael. 9 a.m. – 2 p.m. Central time Saturdays, beginning Wednesday, Oct. 31. 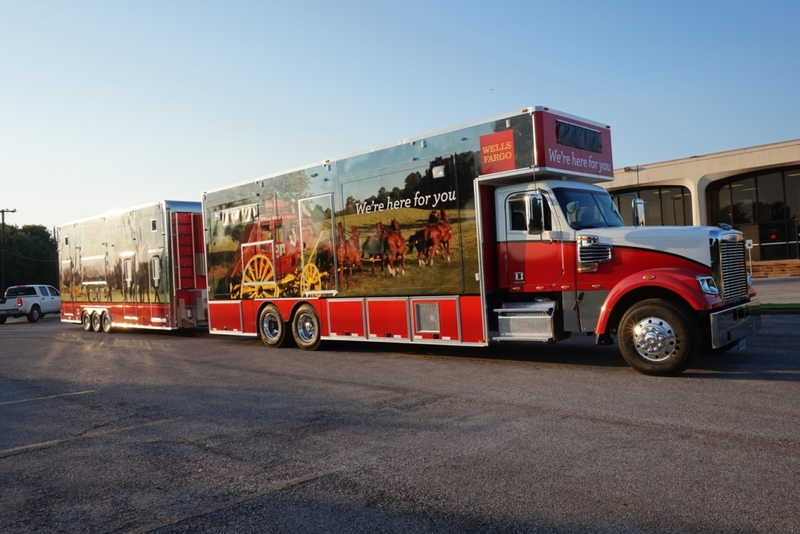 Wells Fargo’s deployment of its Mobile Response Unit to the Panhandle follows the company’s donation of $1 million to support Hurricane Michael relief efforts, with $500,000 going to the American Red Cross and the remaining $500,000 to be disbursed in the coming weeks to nonprofits located in affected communities. Wells Fargo is committed to providing support to customers and clients affected by Hurricane Michael, including reversing certain fees — such as late fees — for our lending products, including credit cards, auto loans, personal loans and lines of credit, and waiving Wells Fargo fees for customers using non-Wells Fargo ATMs. Customers who want to discuss their financial needs should call 800-TO-WELLS (800-869-3557), available 24 hours a day, seven days a week. Wells Fargo Home Mortgage and Home Equity customers can contact Wells Fargo to discuss potential payment and disaster assistance options or access information at Disaster Assistance and Property Damage Support site. Home Mortgage: 888-818-9147, Monday through Friday from 6 a.m. to 10 p.m. Central time, and Saturday from 8 a.m. to 2 p.m. Central time. Home Equity: 1-866-355-1540, Monday through Thursday 7 a.m. to 7 p.m. Central time, and Friday 7 a.m. to 4 p.m. Central time. Auto loan customers can request payment assistance for up to 90 days and discuss available options for the filing of a Guaranteed Asset Protection (GAP) claim, if applicable. Auto loan customers: 800-289-8004, Monday through Friday 7 a.m. to 9 p.m. Central time, and Saturday 8 a.m. to 2 p.m. Central time. Personal loans: 877-269-6056, Monday through Friday, 7 a.m. to 7 p.m. Central time, and Saturday, 8 a.m. to 4:30 p.m. Central time. Personal lines of credit: 800-946-2626, 24 hours a day, seven days a week. Credit cards: Call the number on the back of the card or call Wells Fargo at 800-642-4720 24 hours a day, seven days a week. Education financial services: 800-658-3567, Monday through Friday, 7 a.m. to 8 p.m. Central time. Retail small business customers impacted by the hurricane are encouraged to call Wells Fargo, 800-225-5935, for more information and to discuss their options. Wells Fargo Insurance Services has also contacted clients in impacted areas to provide support and expertise. Customers of Wells Fargo Merchant Services who are in need of assistance with their merchant processing due to the impact of Hurricane Michael can call 800-451-5817. Affected merchant customers who contact Wells Fargo by Nov. 16 can receive a complimentary Clover® Go card reader that works with a mobile device and, will enable their business to accept card payments. The one-time cost for the card reader is waived; however, payment processing costs from using the card reader will still apply, as will cellular service data rates as described by the provider.